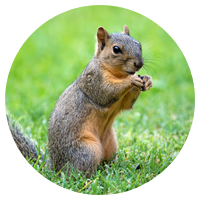 We have significant experience in dealing with squirrel problems across a wide range of different business and residential properties. How do grey squirrels cause a problem? Squirrels can cause serious damage by stripping back from tree trunks during early summer. In the spring, the taking of eggs and young chicks can occur leaving songbirds devastated. They can terrorise young fledglings and often bird tables are stripped clean by squirrels before the birds get a look in. If they can access inside your roof, they could gnaw through pipes and electric cables and can gnaw through fascia boards. They are very determined and once in a good home, i.e. your roof, the eaves, your garden shed or nearby tree, they can cause a great deal of nuisance and damage to property and other wildlife. Grey squirrels are normally grey with brownish markings, a white underside and a large bushy tail. As omnivores, they are active throughout the day feeding on nuts, seeds, eggs, chicks, insects and in urban areas waste food and rubbish. They store food in order to survive through the winter months and can live up to eight-years-old. 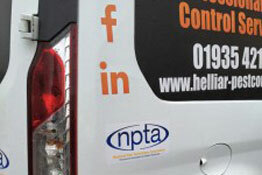 Why use Helliar grey squirrel control services? We will always take into account the need to carry out treatments discreetly and quickly with minimum disruption to your business or home. Friendly, helpful staff, with no automated telephone lines. 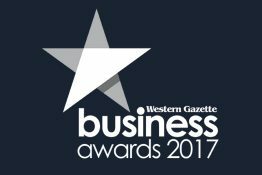 Established local business, trading in Somerset and Dorset for 80 years.